Intel will add support for DDR4 memory to its high-end computers in the third quarter, sources familiar with the company's plans said. The adoption of DDR4 by chip makers at the motherboard and chip level is the first step to bringing the new memory type to computers. DDR4 chip support will come with Intel's next-generation Xeon server processors code-named Grantley, which will be based on the Haswell architecture, to be released in the third quarter, sources said. DDR4 could then make its way to laptops and PCs in 12 to 18 months. Lenovo has said it will launch new types of servers based on the Grantley chips in the third quarter. Intel declined to comment on DDR4 memory support on its chips. Modules of DDR4 memory on gaming boards with Intel's chips were demonstrated at the Intel Developer Forum in September. Intel's high-end desktop processors for gaming are also expected to support DDR4. An Intel spokesman said the company is working "with the industry" to bring support DDR4 to its high-end systems, but did not provide a date. The new form of memory could prompt Apple to upgrade its Mac Pro, which just started shipping with the Intel's latest Xeon processors based on the Ivy Bridge microarchitecture, which supports DDR3. System builders have already been testing boards with DDR4 memory. Mobile devices won't get DDR4 memory anytime soon since tablets and smartphones are just getting equipped using low-power DDR3 (LP-DDR3) DRAM. Memory standards-setting organization JEDEC is still developing the mobile DDR4 specification, and Samsung last week announced an LP-DDR4 module for mobile devices. "It will only get used in places where the performance is necessary," said Dean McCarron, principal analyst at Mercury Research. "It won't be in low-end web servers." Companies like Samsung, Micron and Kingston demonstrated DDR4 memory after the DRAM specification was finalized in September 2012. Samsung has already started manufacturing the memory for commercial use, and Micron's Crucial business unit is demonstrating DDR4 memory at the International CES show being held this week in Las Vegas. The DDR4 bus clock speed will top out at 3200MHz, an improvement from 2400MHz for DDR3, and 1.2 volts will be supplied for DDR4 compared to 1.5 volts for DDR3. DDR4 reliability is considered higher because of more debugging and diagnostic tools to prevent data errors. 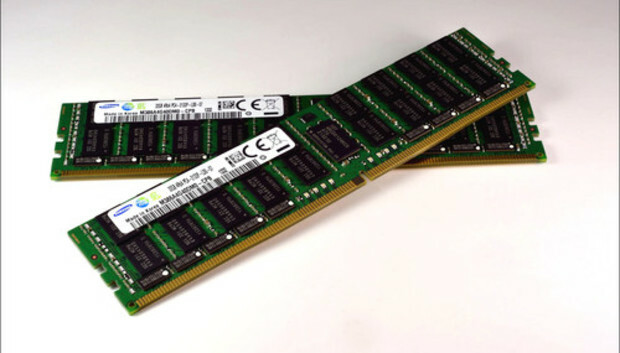 DDR4 is expected to be the final iteration of DDR DRAM. There is a move to others forms of non-volatile memory that can retain data. Alternative forms of memory under development include phase-change memory, RRAM (resistive RAM) and MRAM (magnetoresistive RAM). Memory makers like Micron are also stacking chips to deliver faster throughput, and Nvidia plans to stack memory chips in its upcoming graphics chip code-named Volta.